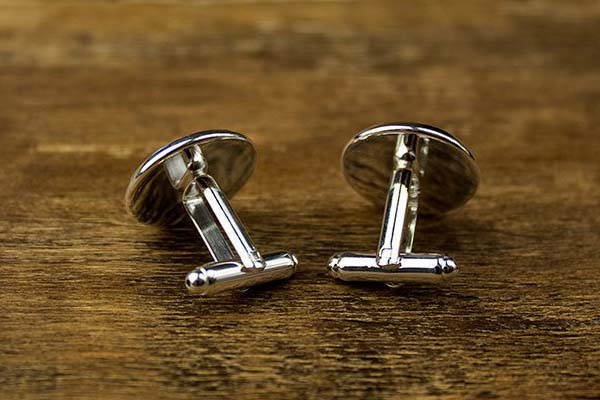 This is a pair of beautifully-designed and well-crafted cufflinks inspired by SNES game console, and handmade by ElegantLocketShop, a handicraft studio in Turkey. As we can see from the images, the cufflinks are designed based on SNES controller. One cufflink shows off a design of the iconic D-pad, and another features the pattern of four firing buttons. Meanwhile, each design features exquisite details and colors from the original controller, and the images are covered by a high grade epoxy dome for durability and enhanced elegance. 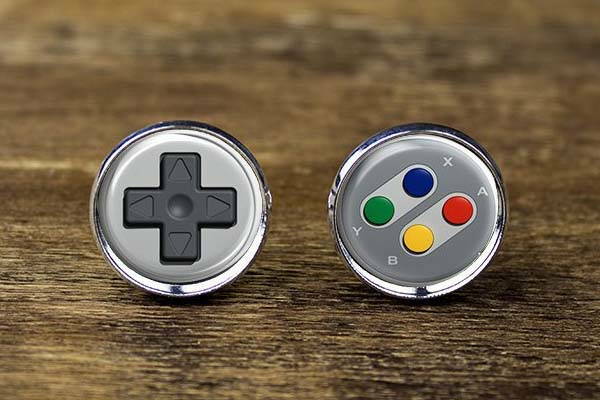 Each SNES controller cufflink measures 18mm diameter, and the base is made of silver plated brass for a stylish look and premium feel. Moreover, an optional tie clip is similarly inspired by SNES controller to perfectly match the cufflinks. The handmade SNES controller inspired cufflinks are priced at $12.99 USD. ($24.99 for a set of the cufflinks and tie clip). If you’re interested, jump to Etsy for its more details.